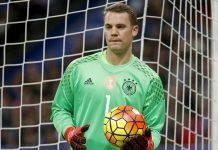 There was some bad news for Bayern, however, with keeper Manuel Neuer taken off in the 53rd minute with a calf muscle injury. Despite more than 60% possession, the visitors struggled at times with an agile and hard-working Duesseldorf defence until Coman struck again four minutes from halftime for his fifth goal of the season. 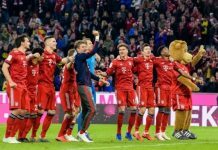 The hosts got a late consolation goal with a Dodi Lukebakio penalty from a Mats Hummels handball but Leon Goretzka scored Bayern’s fourth in stoppage time.